For Gift Certificate pay with PayPal below. 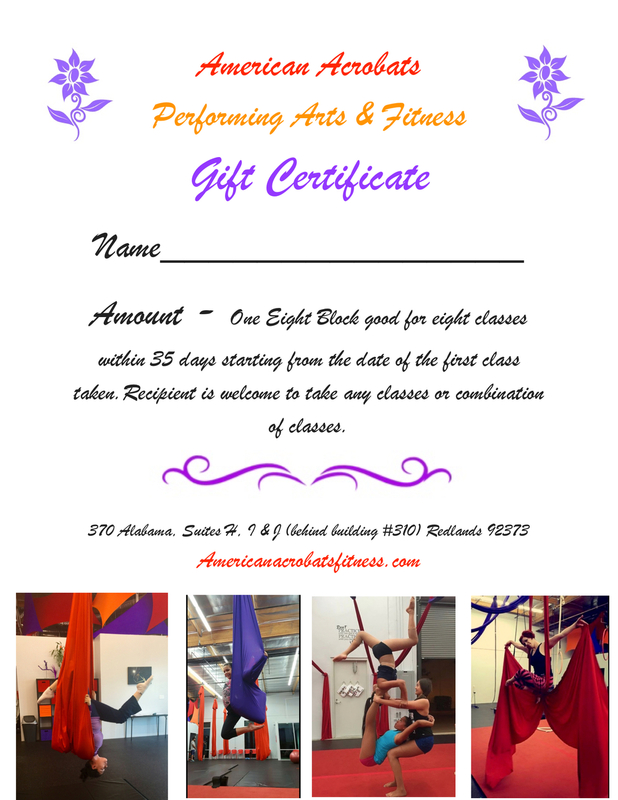 Or Please contact - info@americanacrobatsfitness.com. Or come in and pay with cash, check, or Visa.